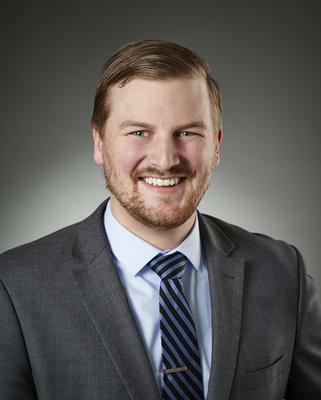 Matthew W. Bergeron brings a unique blend of legislative and health law experience to Larkin Hoffman’s health care and government relations practices. He helps clients develop, draft, and promote their legislative agendas while nurturing strong professional relationships with public policy makers at all levels of government. Matthew also helps clients navigate complex regulatory processes and requirements at the state and federal levels. His clients include health care and human services entities, small businesses, trade and professional associations, local governments and international corporations. Guided the Minnesota chapter of a national health care professional association through nearly a dozen legislative committee hearings, including an omnibus conference committee, to secure support and eventual passage of health professional licensure legislation. Advocated successfully to restore eligibility and funding for a chemical dependency (CD) treatment rate enhancement for seven Minnesota CD treatment providers and secured passage of provider-specific language related to verification of eligibility for the enhanced rate. Advised a private-pay assisted living facility on the Medicare, Medicaid, and other Minnesota regulatory and licensing requirements during the purchase of an additional assisted living facility which included a skilled nursing facility. Advised a California-based nutraceutical company on potential Food and Drug Administration labeling requirements for new product line. Assisted in the implementation of major health care reform initiatives, including the Medicaid expansion and insurance exchange portions of the Affordable Care Act while serving as Committee Administrator for the Health and Human Services Policy Committee in the Minnesota House of Representatives. Worked to pass a nation-leading increase in the minimum wage and build awareness on issues of economic security including paid family leave, paid sick and safe time, and wage theft prevention while serving as Committee Administrator for the Select Committee on Living Wage Jobs. William Mitchell College of Law, St. Paul, MN; 2012, J.D.